Doing your own independent research requires you to make a number of important decisions and these can seem very daunting. • How do you come up with a research question? • What methodology should you use? 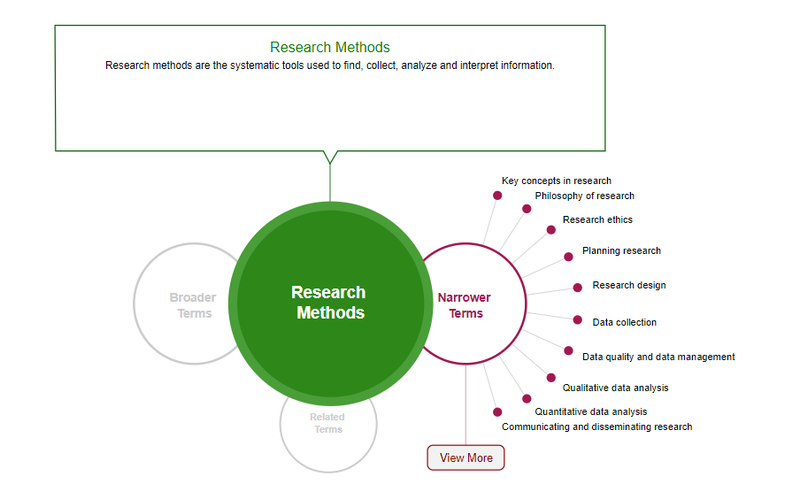 Sage Research Methods is a brilliant resource to help you with all stages of your research from design to interpretation. 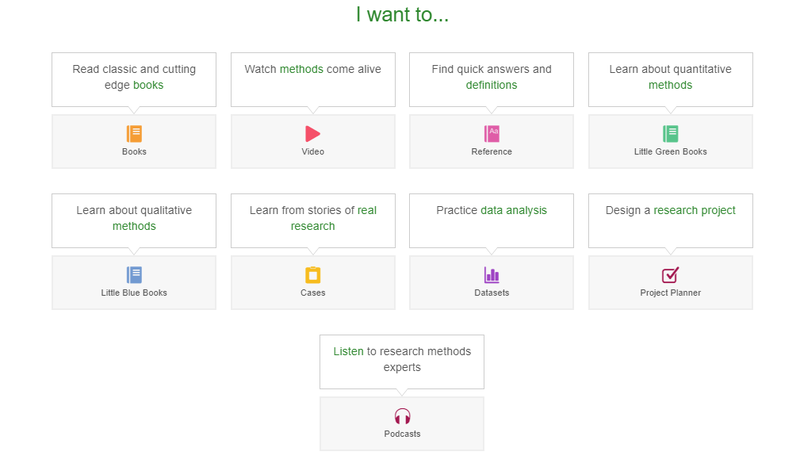 Including video podcasts, books, cases, datasets and project planners you can learn about different research methods as well as practicing data analysis and seeing case studies to help with your own research. University of Kent students and staff can access Sage Research Methods from any computer. 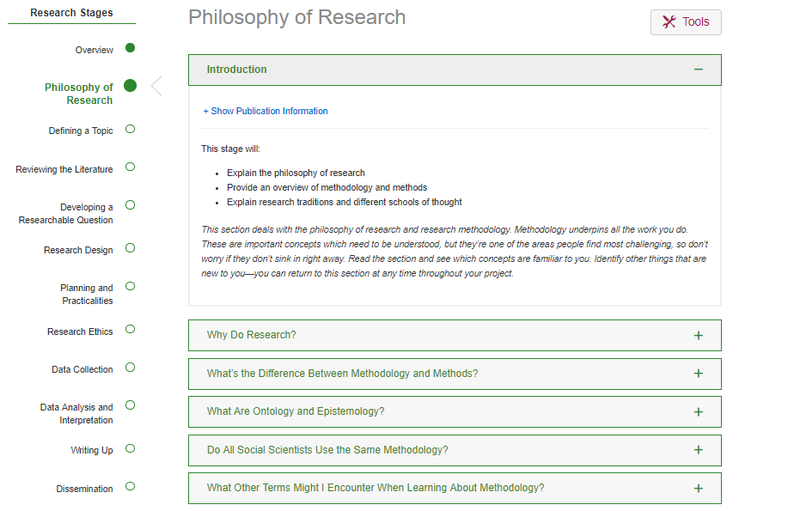 Using the link in the a-z of e-resources is the easiest route, or you can use the Shibboleth Institution log-in in the top right of the Sage Research Methods home page. You can run a quick search by typing in your own keywords into the search box provided. Your results will show a definition as well as various options depending what type of information you need ranging from reference information to datasets , video tutorials, lectures and cases. You can also narrow your results down by your subject discipline, the result type and publication date. You can also access information by choosing the format, if you learn best by watching or listening you can choose videos or podcasts, you can also learn by practicing on datasets or reading case studies. To help get you started with your own research there are a number of useful research tools. When you start your own research the project planner can help guide you through all stages from defining your topic to writing it up. 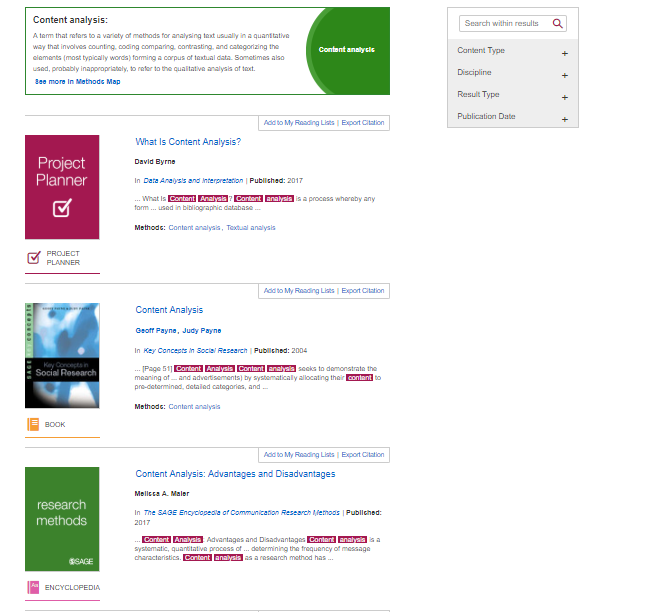 There are also reading lists created by other users on key topics or discipline area as well as a ‘which stats test’ to help you decide which statistical test to use in your research.